Lobster and Shelley Chairs by Lund and Paarman available again. Lobster and Shelley chairs – designed by Lund and Paarmen. Lobster Chair & Shelley Chair were first introduced to the public during the IMM Cologne in 2008. Designed in Denmark by LUND and PARMAAN. In the first few years the chairs were marketed by the company Strictly Design. After that Norwegian Hjellegjerde Fjords took over the sales. The Norwegians then chose to downgrade the Danish market, but now Ribble Valley Recliners have grabbed the chance to get the chairs back in the United Kingdom – and UK homes. We are also happy to ship worldwide. 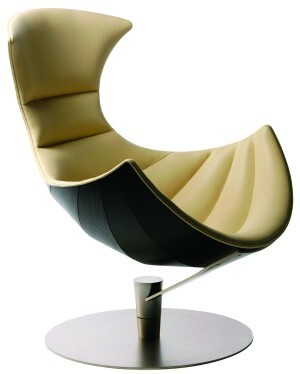 Especially the Lobster Chair attracted media attention when launched. It attracted attention all over the world, and the interest in the chair was quite overwhelming. Future design Classic, the Iconic Lobster and Shelley chair. 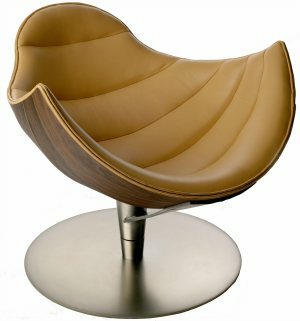 Luxurious full grain semi aniline leather with laminated beech shell veneered with walnut or oak. The back is now also available in Black Stained Oak or fully upholstered Black Leather. 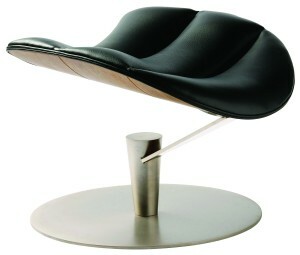 The swivel base can be Satin Chrome plated steel, or Black Laquered and has a spring effect. Also available with matching Ottoman and table. Each piece is hand delivered with care!